Which are Best Bluetooth Portable Speakers under Rs 5000 in India? We love music, and we want crystal clear sound with deep bass. But as we all know in today world we never stay at one place all the time. We travel a lot and while we travel you are definitely going to miss your music but don’t worry today we resolve this issue. These portable speakers offer the right mix of performance and features. All these speakers can play audio via Bluetooth or a 3.5mm audio jack and some speakers also has NFC. 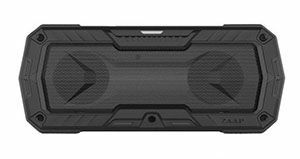 Most of the portable speakers are water and dust resistant as well. If you budget is Low then you can also Check our list of Best Portable Bluetooth Speakers under Rs 2500. We list TOP 5 Best Bluetooth Portable Speakers under Rs 5000 which you can buy right now from India’s leading Online and Offline Stores. Everyone knows sony is brand which makes great audio and Video products. 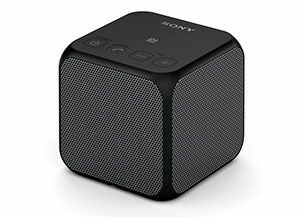 Sony SRS-X11 is very compact and Portable with Deep Bass and this portable speaker has almost all the wireless connectivity options such as Bluetooth, NFC. You can also get stereo sound via pairing two speakers together. You can also do hands-free voice calling with this. Check all the main specifications given below. 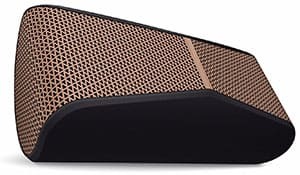 Logitech is a company who makes great computer accessories and they also make great portable speakers in the budget segment. X100 is a great one under Rs. 2000. X300 has a Stereo Speaker system with Dual Speaker Setup. Logitech X300 has premium look and feel. 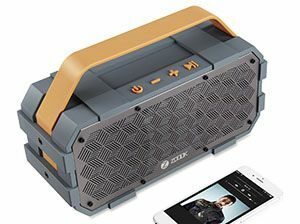 Zoook Rocker Torpedo is a great option under 5000 because it has all the things you need in a powerful portable Speaker. This Zook Torpedo has 50W Speakers with Stereo speaker and an air compressor on back. 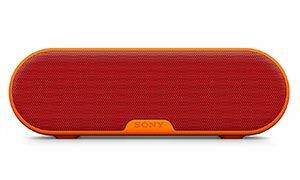 This Portable speaker is rough and tough comes with waterproof design and Bluetooth 4.1 which is very close to latest. 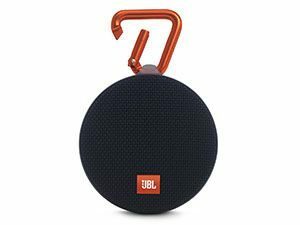 JBL makes great audio products and JBL Clip 2 is not an exception. If you want you can cpair two Clip 2 together for stereo effect. Sony SRS-XB2 is very portable and powerful. SRS-XB2 is meant for those who want to give Electronic dance music an added impact & love to take the party with them. It’s water-resistant design lets you take the party wherever, whenever. It helps you on adding up on sound and lets you pair two speakers together to get the party really going. This is built for you if you like making every moment life and love EXTRA BASS in your music. 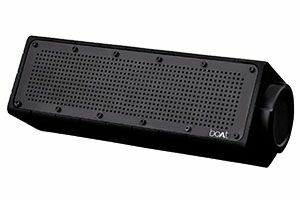 Boat is my personal favorate brand when it comes to Budget Bluetooth Headphones & speakers. Because this brand provide best value for money products and Boat Stone 600 is perfect combination of Great build Quality, Performace and features. 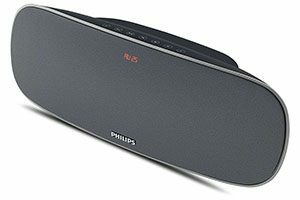 Philips speaker is not just designed to sound good but to look good too. With rich bass, the speaker makes all your favorite music enjoyable. The compact and portable design lets you enjoy your favorite music outdoors too. You can even listen to songs on the radio with the built-in FM tuner. 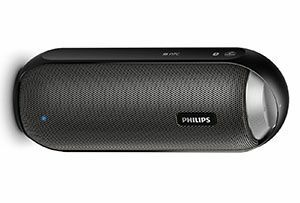 This speaker also includes USB and SD card slots, so you can transfer photos and music. 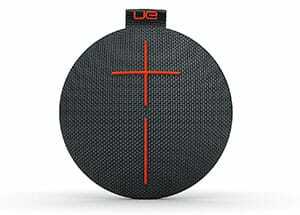 If you want Best looking and most portable speaker then just go with UE Roll 2. So, that is our list of Top 10 Best Portable Bluetooth Speakers Under Rs 5000 in India If you have any suggestion then please tell us in the comment section given below or If you have any question do drop in the comments section below we will try to reply you as soon as Possible.